A bone spur (osteophyte) is a bony growth formed on normal bone. It’s usually smooth but can create pain and inflammation when it rubs against nerves, ligaments, tendons, or other bones. Bone spurs are fairly common in people over the age of 60 and are typically found in the spine, shoulders, hands, hips, knees, and feet. The main cause of bone spurs on the spine is wear-and-tear degeneration. 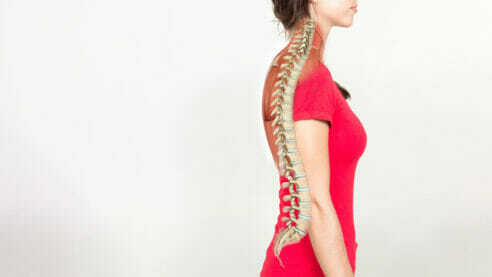 Normal wear and tear may cause the body to begin to produce new bone to try to stabilize the spine, forming a bone spur. Bone spurs are part of normal aging. They only become a problem when they compress the nerves. What are the common symptoms of a bone spur? How is a bone spur diagnosed? The diagnosis of a bone spur begins with a physical examination at which your physician will determine where your pain is coming from. It is unlikely that your doctor will be able to feel a bone spur in your spine. Your doctor will also review your full medical history to determine what causes may be contributing to your pain. How are bone spurs treated nonsurgically? What are the surgical treatment options for bone spurs? Anterior cervical discectomy and fusion is a surgical procedure that involves relieving the pressure placed on nerve roots and/or the spinal cord by a herniated disc or bone spurs in the neck. The goal of laminectomy is to relieve the bone spurs’ pressure on the spinal nerves that is causing your symptoms.